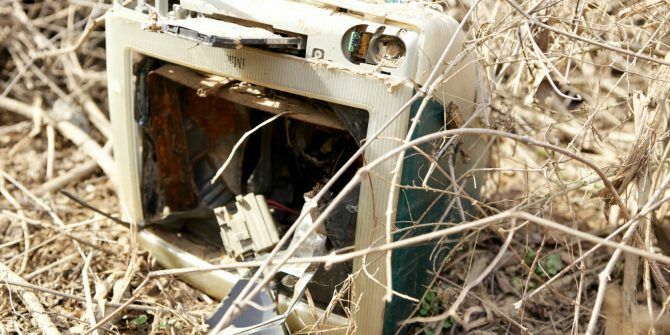 The CompuServe Forums, which have existed in some form or another since the 80s, are shutting down. So if you want to experience the Reddit of its day 19+ Things Almost No-One Knows About Reddit 19+ Things Almost No-One Knows About Reddit In the Reddit community all are invited, but few understand the mysteries which lie within the insanely popular forum. Never tread blindly again with this list of things most Reddit users don't know! Read More before it disappears, you have until December 15 to check them out. And you won’t even have to pay an exorbitant fee to do so. CompuServe isn’t a name the average millennial will be familiar with. However, anyone over a certain age will recognize the name, even if their memory has faded. It was the first major commercial online service provider in the U.S., letting people connect using dial-up modems. Connecting to CompuServe in the 1980s wasn’t cheap, costing between $5-an-hour and $30-an-hour. The CompuServe Forums were therefore reserved for the geekiest of individuals convinced home computing was the future. And while they were proven right, CompuServe’s power waned. Despite changing hands many times, CompuServe is still a thing, and owned by Verizon subsidiary Oath. And Oath, formerly AOL and Yahoo, has decided to shut down the Compuserve Forums on December 15, 2017. The same day the company is putting AOL Instant Messenger out to pasture AOL Instant Messenger Is Finally Saying Goodbye AOL Instant Messenger Is Finally Saying Goodbye You might be surprised to discover that AOL Instant Messenger (AIM) is still a thing. You may be less surprised to learn it's now being killed off for good. Read More . Astonishingly, given that most people assumed CompuServe had been dead for years, the other parts of the site — email, news, weather, maps, and more — will remain functional for the time being. But this will be of little comfort to current users of the CompuServe Forums. Let’s face it, just like AOL and Yahoo, CompuServe is a relic from a bygone age. And there are plenty of other places for like-minded people to discuss their interests 6 Tools to Find Awesome People with Similar Interests 6 Tools to Find Awesome People with Similar Interests Connecting with new people can help you get more out of life. Take the plunge and start making new friends who share your interests Read More these days. Still, in the same way it was sad to see Geocities be laid to rest, it’s sad to see the CompuServe Forums die. Do you remember the CompuServe Forums of the 1980s or 1990s? What’s your abiding memory of the CompuServe Forums? Are you still a member posting there now? If so, how do you feel about Oath shutting the CompuServe Forums down? Please let us know in the comments below! Explore more about: Nostalgia, Online Community. Infomum, have you any more details on the steps being taken to move the Compuserve forums elsewhere before the closure? I signed in in 1983 and I am still there. The value of the Forums is something that has never been simple to explain to people who weren't there, and, alas, that included several iterations of CompuServe management. They didn't know what they had and they didn't care if it lived or died. Several of the Forums are finding spaces in other venues so the conversation will continue. When I read the word "Compuserve" just now, I almost heard the sound of a 9600 baud modem connecting, and remembered the dream of 14400 service in my area. I remember compuserve being an overpriced forum famous for it's venomous microsoft shills, at least when I started BBSing. I did jump on Prodigy for a bit (they had good DOS support) before I focused on local boards. At least CompuServe did not rabidly collect data on its user as today's site do.